New Orleans, Louisiana is a city filled with great, iconic restaurants. With dozens of restaurants just around the block of my hotel, it was impossible to try them all. Nevertheless, I was able to sample many of what the Crescent City has to offer. Most of the places I went were in the French Quarter, the oldest part of New Orleans, settled in the early 1700s by the French. It is located on the highest ground in the city, and was not flooded during the aftermath of Katrina. With many of its historic buildings intact, it remains a haven of culture and food. However, it is not the only part of New Orleans that has good dining. 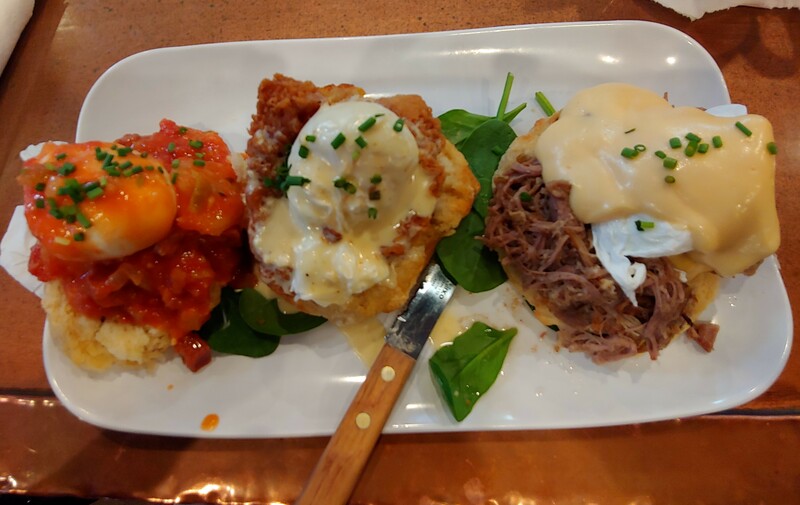 One of the grand traditions in New Orleans is to go to a Jazz brunch on Sunday. One place that has a good Sunday brunch menu is Arnaud’s. For the price of an entrée, you can get a three course meal. Arnaud’s is a family run restaurant that recently celebrated its 100th anniversary. 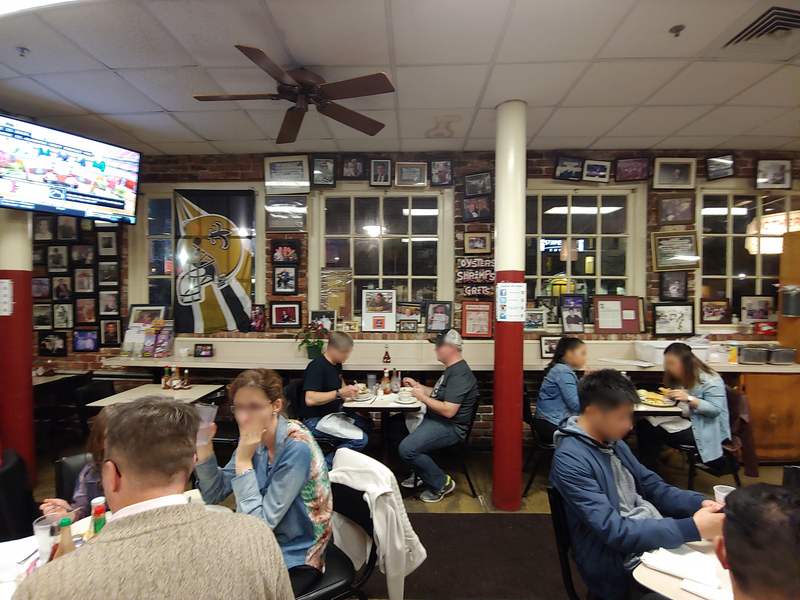 It is one of the oldest family run restaurants in the country. But be aware, like many of the high end restaurants in New Orleans, the place has a dress code. I alas had already eaten, but I was there on a quiet enough Sunday that I was able to get a seating for dessert. Their featured item is bananas foster. Bananas foster is a classic New Orleans dessert, invented in 1951 by the chef Paul Blangé .This dessert is made with chopped bananas cooked in brown sugar, flambéed with rum, and served over ice cream. It is freshly made right at the table. Normally Arnauds’ version is for two people, but they were to make a smaller, single person size for me. Most days, I had breakfast at my hotel. But a couple of times I got up early to see what the Crescent City had to offer. 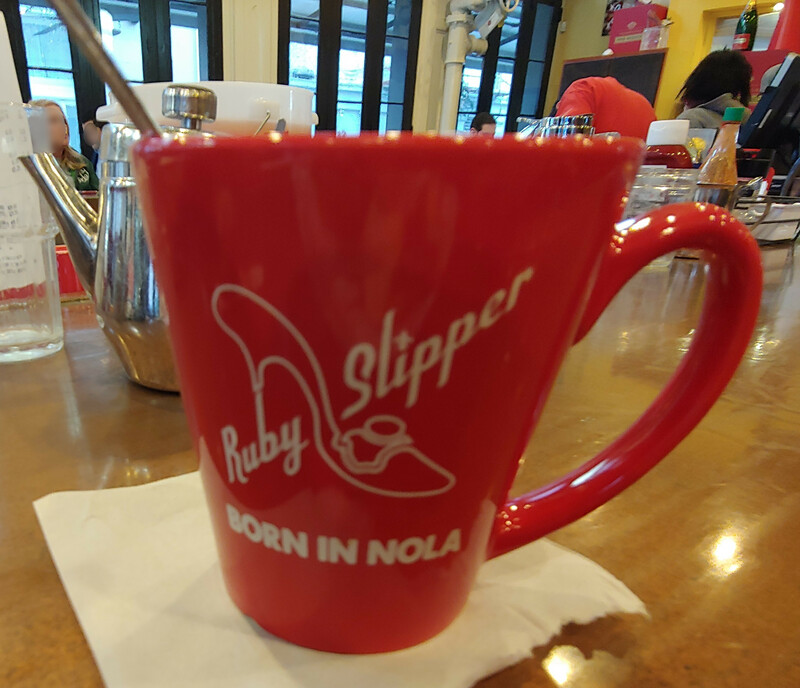 If you are looking for a breakfast place in New Orleans, chances are you will hear about the Ruby Slipper. Established in 2008 in the Mid-City district after Hurricane Katrina had devastated the neighborhood, the owners wanted to create a gathering spot to revitalize the area. Since then, Ruby Slipper has become a sensation. They now have several locations in the city and elsewhere. I went to their second location in the Central Business district. As it happened, the other breakfast place I tried was also outside of the French Quarter, over in the Marigny district. 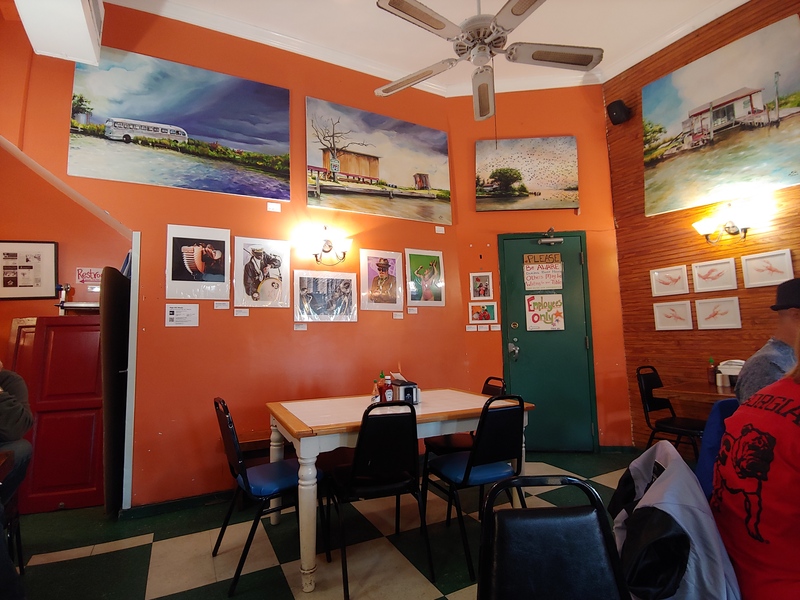 There you will find a home style breakfast spot called the Cake Cafe and Bakery. They have a ton of baked goods and breakfast items. 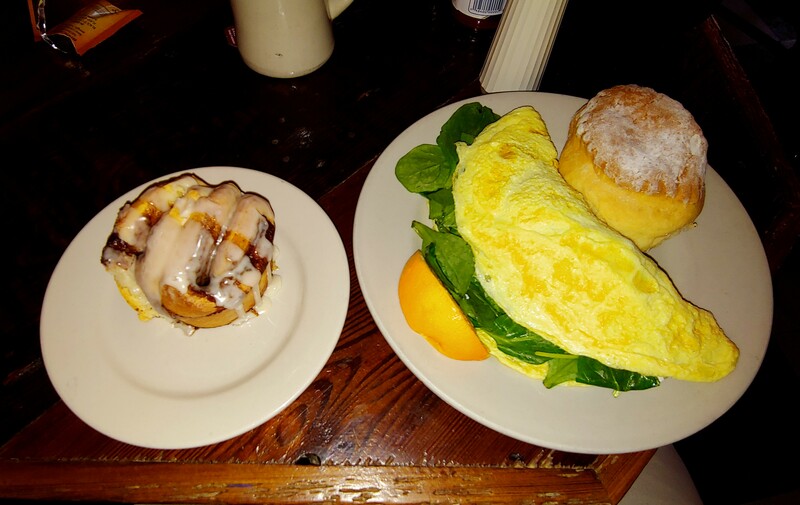 I went with the spinach and goat cheese omelet, plus a cinnamon roll for good measure. Both were great. In New Orleans, lunch typically means po-boys. Just about every restaurant in the city has them. The first place I tried was Johnny’s Po-boys. It was established in 1950 in the heart of the French Quarter and was really run by a Johnny: Johnny DeGrusha. The place has been voted the best poboys in the city. It has a classic, down home, charm. Johnny’s has po-boys of every imaginable type. I chose the daily special, calamari and it was excellent. But poboys are not the only thing you can get for lunch in New Orleans. 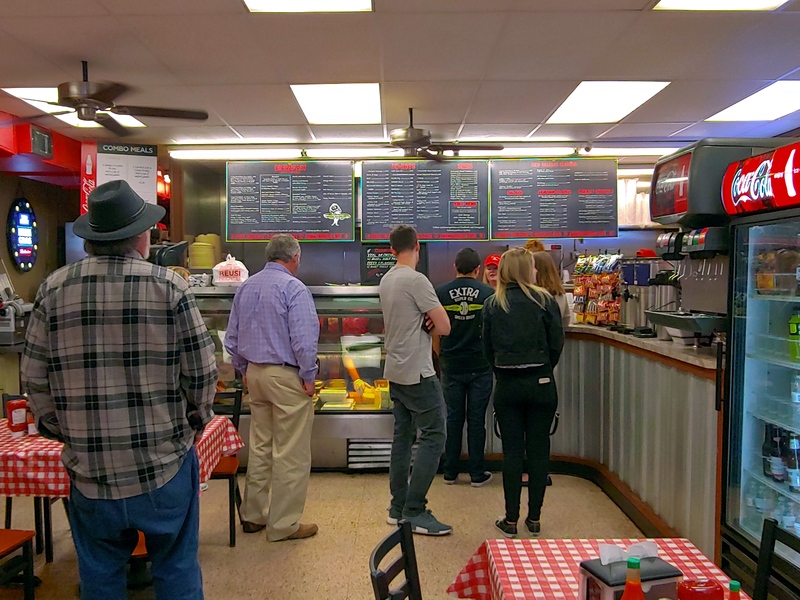 Another local favorite is the Muffaletta, and the place to get them is the Central Grocery. It is also located in the French Quarter, in the same general area as the French market. It is an old style Italian grocery store that has become dominated by its lunch counter. Central Grocery has been serving the area since the start of the 20th century and the muffaletta is their signature creation. A muffaletta is a big sandwich layered with all sorts of deli meats and topped with a olive spreading. And when I say big, I mean big. I got a whole muffaletta and it lasted me for four meals, each one as tasty as the first. We actually went to Mother’s for dinner, but since it has a cafeteria style counter service, I’m including it here. Mother’s is a family run restaurant that has been serving New Orleans since 1938. It changed owners in the 1980s, but is still family run and remains at its original location on Poydras Street in the Central Business District. Even with the new owners, it still offers the same home cooked experience. Situated in an old brick building, Mother’s exudes ambiance. 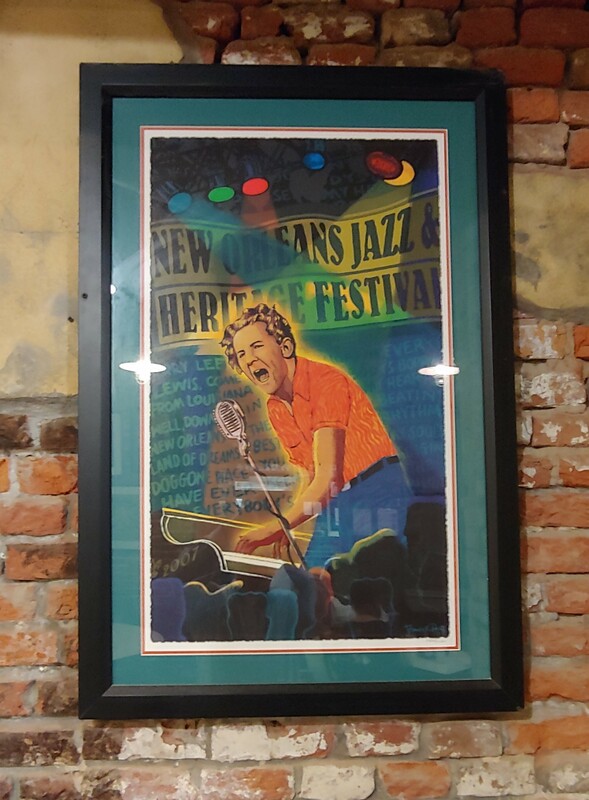 The walls are covered with pictures displaying New Orleans’ unique culture. Mother’s speciality has always been its poboys. It still offers those, but now it serves all the classic New Orleans Cajun dishes. I stuck with the poboys, but my friends tried everything from catfish to jambalaya and turnip greens. I had the Famous Ferdi Special, a poboy made with baked ham and debris. The sign proclaimed they had the best baked ham in the world, so I had to try that. Debris is the roast beef that had dropped into the au jus gravy while cooking. Dripping with au jus, it was a delicious mess. We also ordered the bread pudding. It was fabulous ; the best we had in New Orleans. In the French Corner alone there are hundred’s places to eat. I was not able to go to all the iconic spots there, but managed to go to several of them. Pierre Masperos is a tavern in one of the oldest buildings in the city. During the War of 1812, not yet President Andrew Jackson planned the epic Battle of New Orleans there. Not only does the building exude great history and ambiance, but it has some really good food as well. Unlike Mother’s, however, it is not a family run restaurant by part of a conglomerate called Creole Cuisine Restaurant Concepts. Every restaurant it owns is in New Orleans, though, and retain the local flavor. Pierre Meastros has all the standard Cajun fare. For an appetizer, we got the fried alligator. I’ve had it before in Florida, so it was not so exotic to me, but my companions had not tried it before. They were well made; a good way to start the meal. In addition to the alligator, I had a hurricane as my cocktail. The hurricane is a popular drink in New Orleans, a fruity concoction mixing rum with pineapple juice. It is a little to sweet for me, but I wanted to have one while in the city. For my main meal, I had the shrimp jambalaya. I found it salty, but otherwise good. I normally eat low salt, so do not take that as a knock against the restaurant. 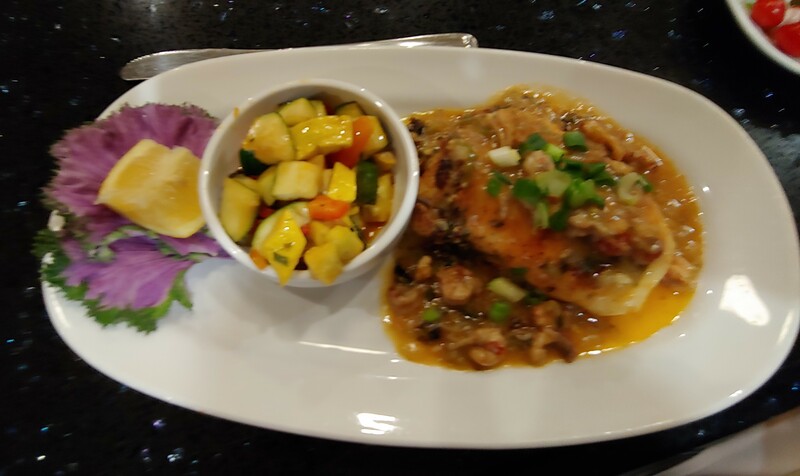 My companions had the blackened redfish, shrimp and grits, crab cakes, and the Cajun trio: Jambalaya, Crawfish Etouffée and Chicken & Andouille Gumbo. My friend highly recommends the crab cakes. He had it twice during the trip! 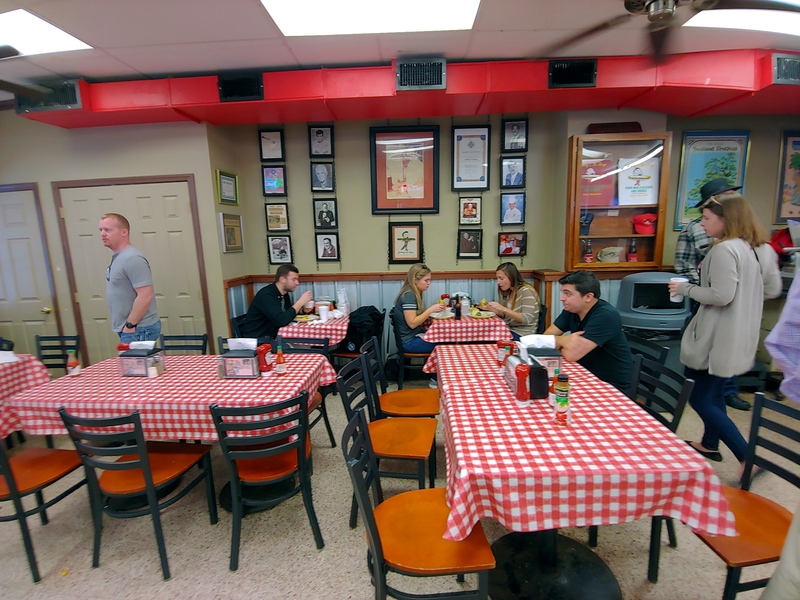 K-Pauls’s Louisiana Kitchen is the most famous restaurant started by celebrity chef Paul Prudhomme. 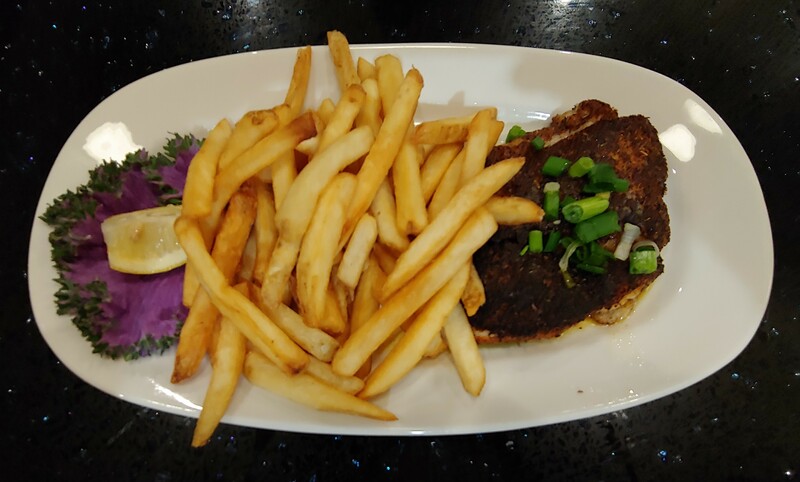 Known for down home Cajun cooking and for popularizing Cajun cooking nationwide, K-Paul’s has become a bit more upscale in recent years. The meal started with a bread basket, but this was no ordinary bread basket. Filled with rolls, a corn bread like muffin, and the absolutely divine jalapeño cheddar rolls. It is worth going to K-Pauls just for these rolls. I also began my meal with a jalapeno infused vodka martini (the cajun martini). I thought it was fantastic. In response to my positive reaction, the waitress indicated that the drink would be simple to make at home. I had the turtle soup for an appetizer and the blackened drum for my main course. Drum is a fish local to New Orleans and the preparation was quite good. My companions for the most part also had the drum, except for one who got the shrimp pasta and the spinach salad. He reports that both were fantastic. For dessert we had the bread pudding (the recipe was right up there on the wall). It was rich and delicious. Almost as good as the pudding we got at Mother’s. Deanie’s Seafood is an unassuming restaurant not to far from our hotel. 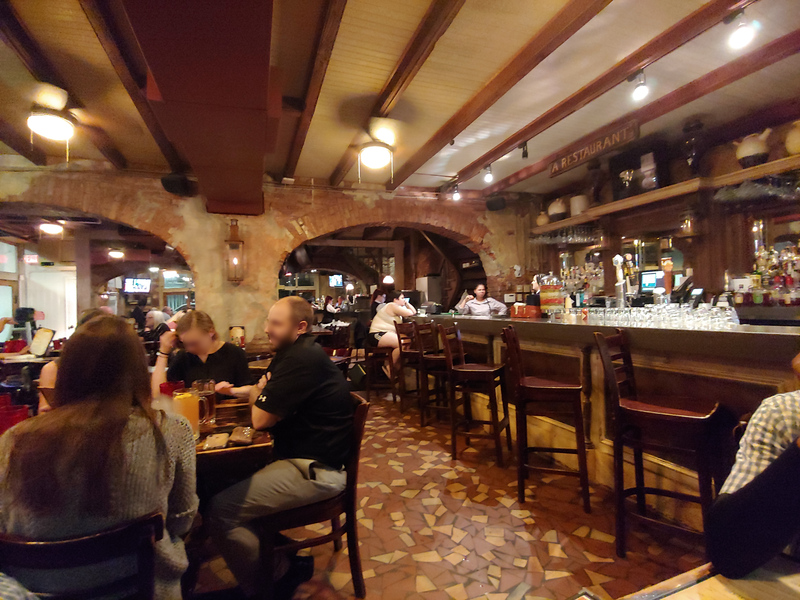 This French Quarter location is not the original, as Deanie’s started in Bucktown, a small fishing village on the shores of Lake Pontchartrain not too far from New Orleans. In Bucktown, Deanie’s has been serving the locals for over 40 years. 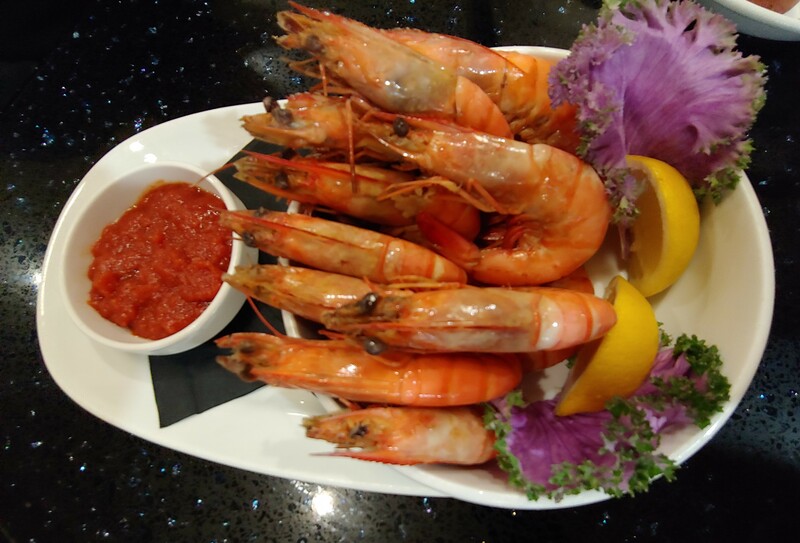 Renowned for its seafood, they opened their French Quarter location in 2002. 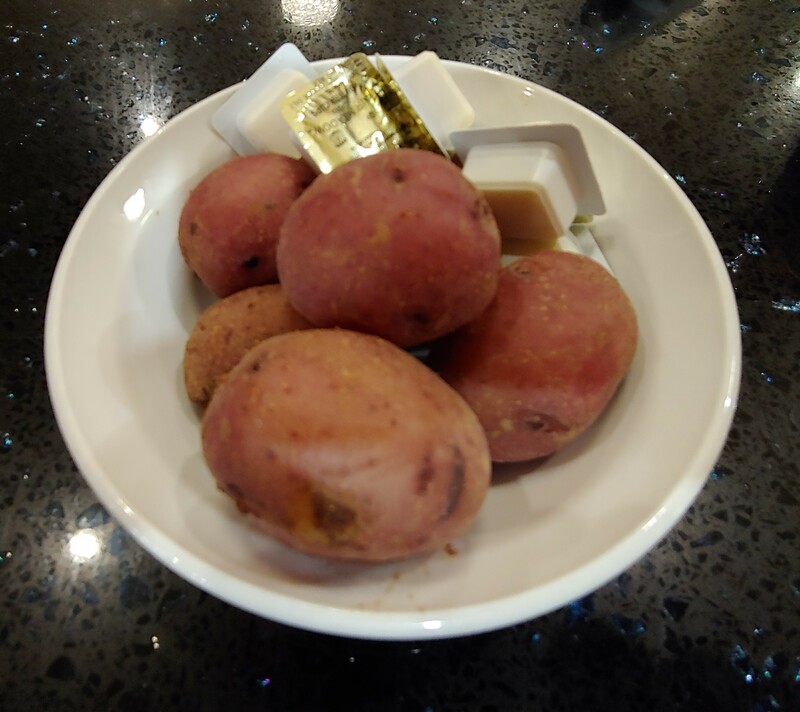 At the start of the meal, instead of serving a plate of bread, the waitress brought out a bowl of Cajun spiced potatoes! The spicing was mild, but strong enough to give them a mild bite. What a novel way to begin a meal! We also ordered the shrimp appetizer. The plate of shrimp was gigantic! That alone could have been our meal. For my entrée, I had the grouper, broiled, and my companion had the grouper blackened. My grouper was fresh and delicious, while my friend said his was very good. We were both too full for dessert. 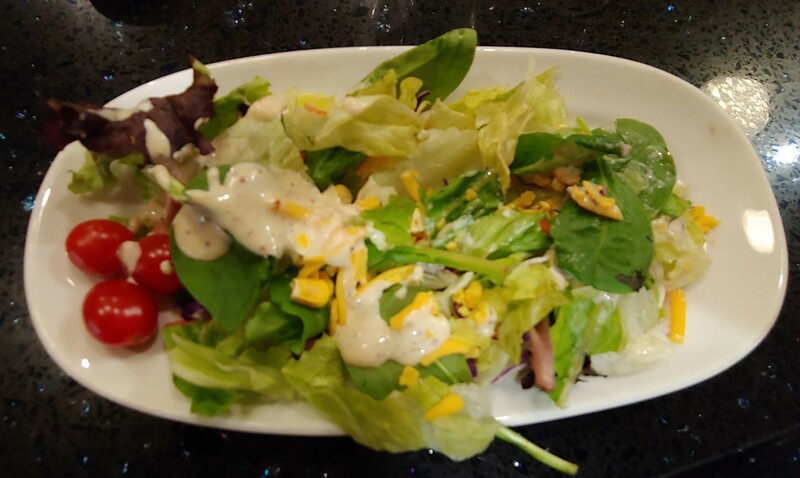 Remoulade, named after the classic French sauce, is another restaurant near our hotel, Located on Bourbon Street, it is one of many casual restaurants that line the road. It is owned and operated by the same family that owns Arnaud’s, features many of the same dishes, but does not have the dress code. We went their on our first night, as we were looking for something light but with some local flare. My companion ordered the gumbo, while I had the Crawfish Etouffée. She enjoyed her meal, while I thought the Etouffee was fantastic. I’ve had it outside of New Orleans, and it was nowhere near as good as this. Light and flavorful, it was a great way to introduce myself to the local cuisine. Of course, any trip to New Orleans would not be complete without a visit to Cafe Du Monde. Located at the edge of the French Market area, it is a coffee shop that has been operating since before the Civil War. It is the most iconic restaurant in a city full of iconic restaurants. 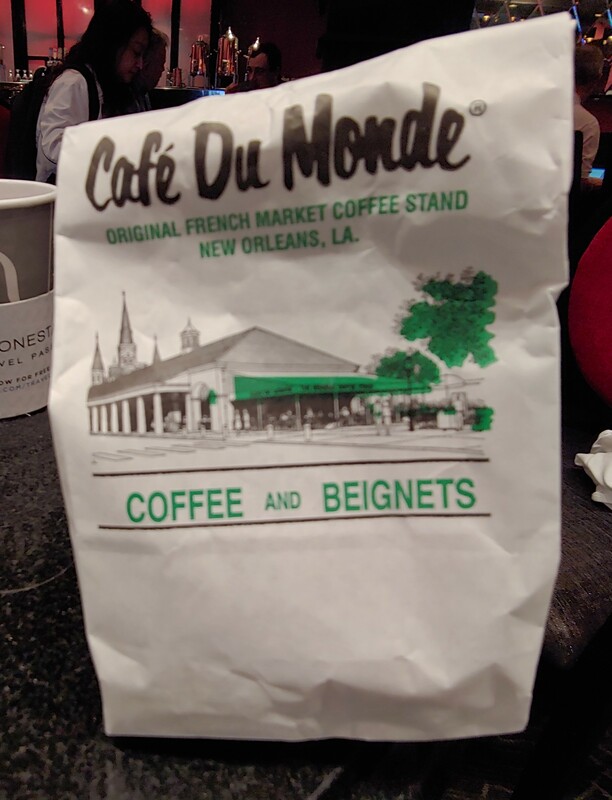 There are two things you get at Cafe Du Monde: coffee and Beignets. Beignets are a French fried dough pastry somewhat similar to donuts. 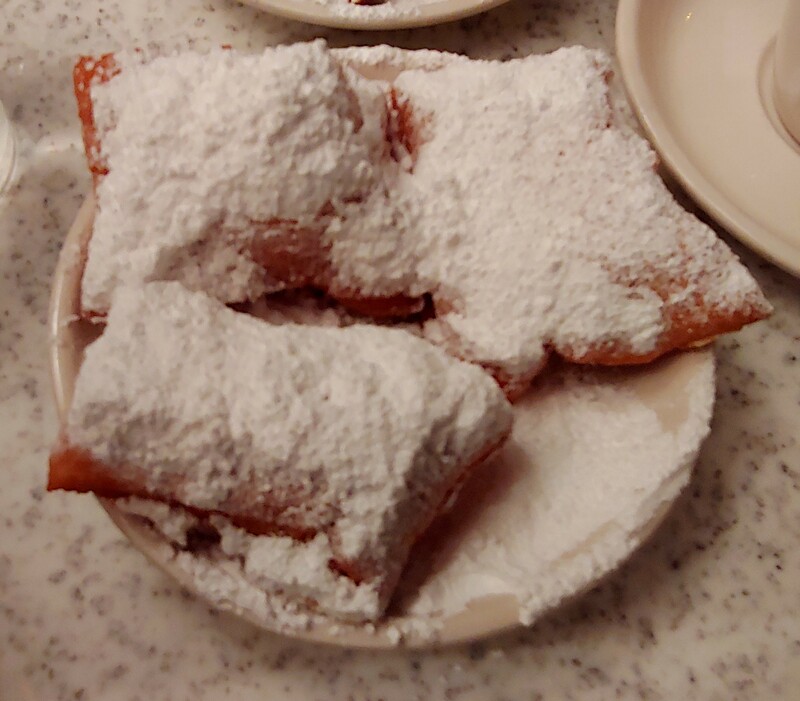 Cafe Du Monde serves them freshly made, doused with powdered sugar. You can also get them to go. But be aware, doing so marks you as a tourist. 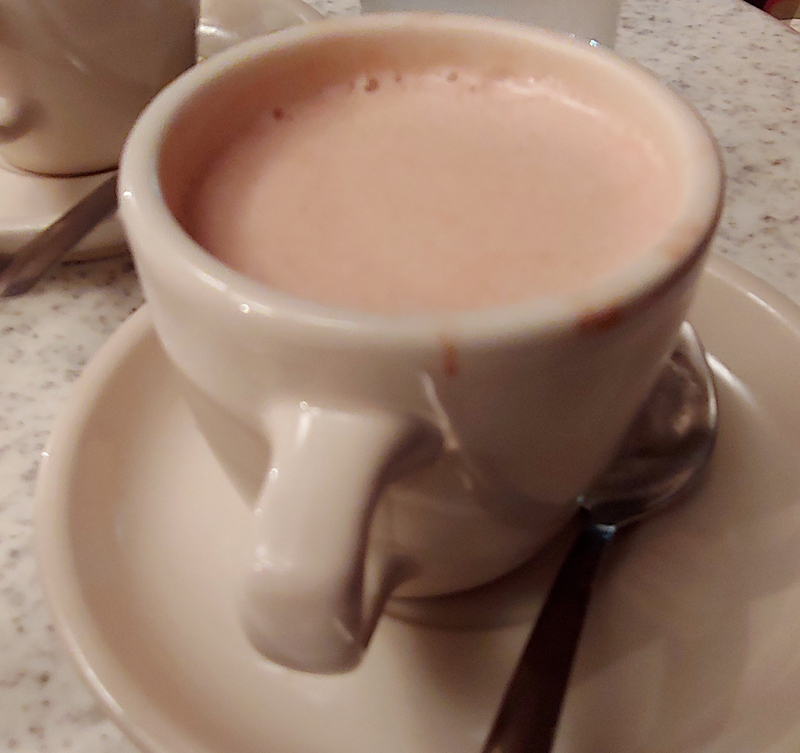 As we went there at night, I ordered the hot chocolate instead of coffee. Not as iconic, it still tasted good. New Orleans has a signature candy and it is the praline. In fact, we were given free pralines when the location of the conference was announced. There are many places throughout the city where you can buy them. I tried two. 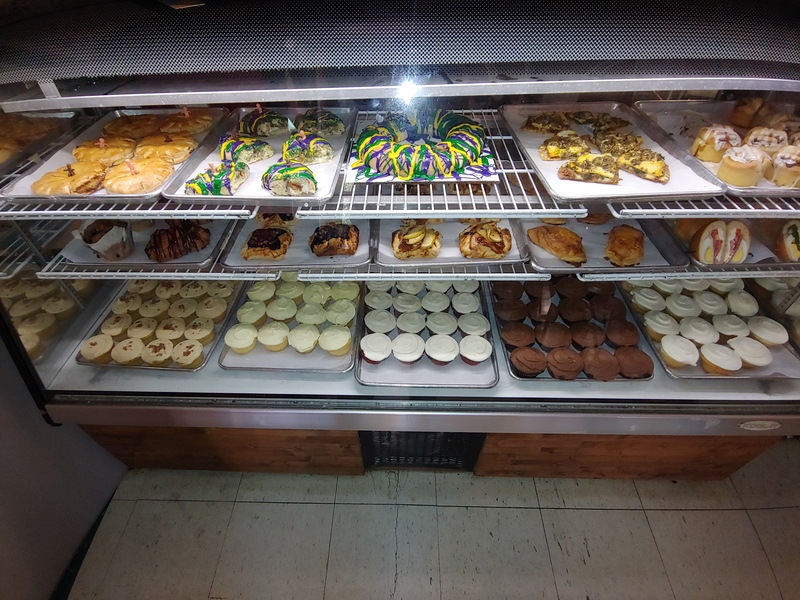 Not far from Cafe De Mon is Aunt Sally’s, voted the best pralines in New Orleans. You can even see them making the pralines right there in front of the store. Indeed the fresh samples were very good. However, I only saw boxed pralines for sale. If fresh ones were available, I did not see them. I did find some fresh pralines elsewhere in the French Quarter at Southern Candymakers. Southern Candymakers is one of those old time candy stores where they make their wares right there in the shop. They sell all sorts of candies, from chocolates and toffee to fudge. They sell pralines by the pound, so I was able to buy and enjoy a single praline. At $20 a pound, this cost a few dollars. But it was worth it. As you may have noticed, there are several famous New Orleans restaurants that I did not make it to. Some of it was due to time ; others was because of the dress code. I considered bringing a dress jacket so that I could go to these places, but ultimately decided against it. At the top of my list of missed places is Brennan’s, where the Bananas Foster was invented. Also on my list is Antoine’s, the oldest restaurant in New Orleans. 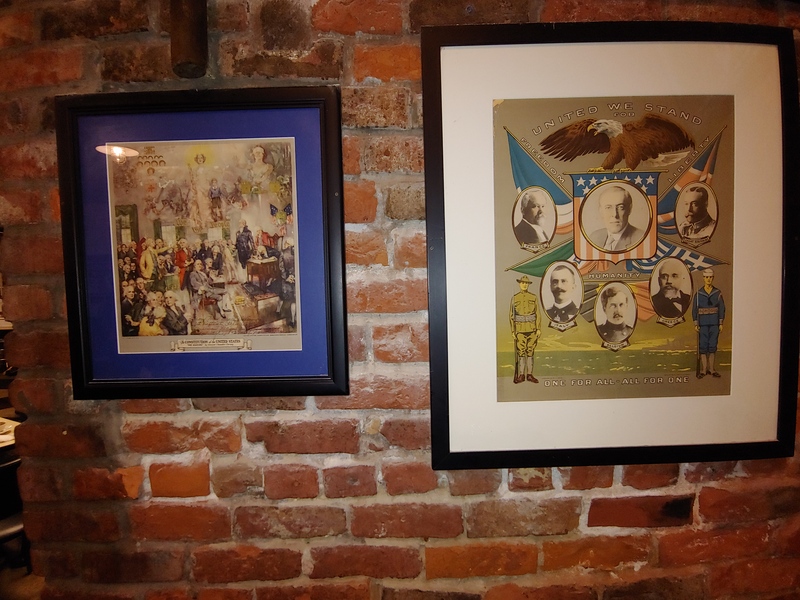 Likewise, I wanted to go to Napoleon House, a restaurant inside a historic house built 200 years ago. Wrapping up this part of the list is the Court of Two Sisters, another historic restaurant that is reputed to have a great Jazz brunch. On the more casual side of things, my friends have highly recommended the Acme Oyster House and the Market Cafe. Hopefully I will get to go to some of this places on another trip.